‘Princesses can be Pirates’ with choreographer Monica Munoz is one of the successful projects in this year’s Docklands Arts Fund Small Grants Scheme (2017). Monica Munoz is a choreographer and performer, who creates innovative and inclusive movement based performances that are intrinsically humanistic. Her work commits to examine ideas and issues that incite and excite audiences in a dialogue about social change and other topics. For this specific project, her aim is to increase access to dance performances among sectors of the population who might not have the opportunity to do so. 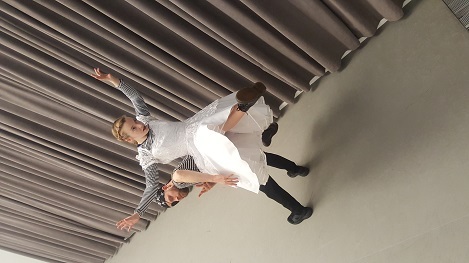 ‘Princesses can be Pirates’ will be a new dance piece for children aged between 6 and 10 years of age, and will presented for primary school children from the Docklands area. The piece will explore gender and identity in childhood and seeks to playfully question and challenge what is often considered “typical” or “normal” behaviour for girls and for boys. The project will be created in collaboration with Dance Ireland, and will be performed in early 2018.